You are invited to participate in the first annual area Superhero’s Lip Sync Battle Contest. Our focus is to generate awareness for our local heroes and support the anti-bullying efforts as we head back to school. To enter: Create a lip sync video 90 second or less and Email your video to gilbertbrownfoundation9393@gmail.com via wetransfer.com before August 31st, 2018. In the message field please write your name and phone number. The clip can be of your organization or an individual representing the organization, lip syncing to their favorite song. Be creative! People will be able to vote online for their favorite group between Sept 1st and Sept 11th. The winning department will be announced during the karaoke contest at Champions Riverside Resort on Wed. Sept 12th. The winning department will receive an appearance from Gilbert Brown for their own fundraising events. Mr. Brown will bring autographed items and conduct an auction to help you raise money! Eligible organizations in the Superhero battle include police departments, fire departments, EMT, Health Care organizations and teachers. 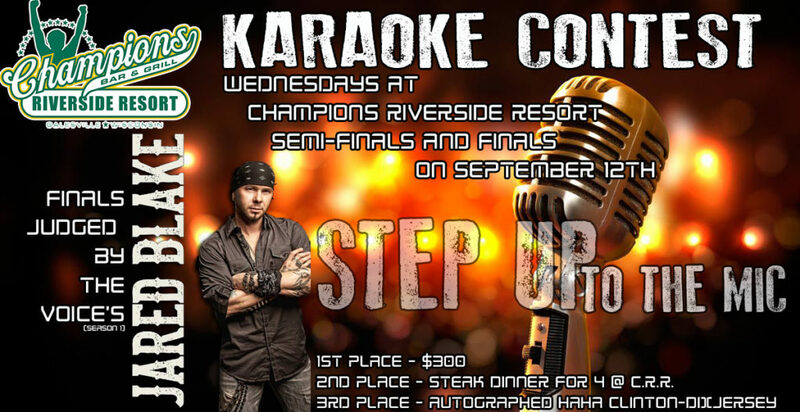 Join in the Karaoke contest – check out the details at www.championsriversideresort.com Jared Blake, working in conjunction with the Gilbert Brown Foundation, is traveling to schools from Madison to Eleva to spread the “Get along” message, He and his band will be at Champions Riverside resort, Wed, Sept 12th to help the audience make this difficult decision! 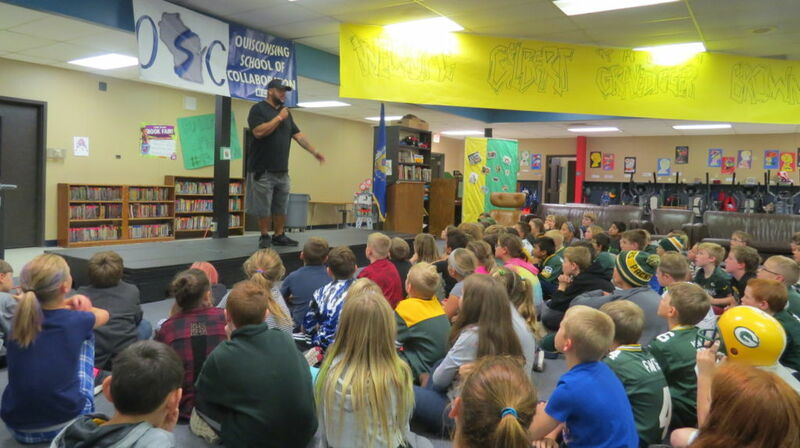 Jared Blake, working in conjunction with the Gilbert Brown Foundation, is traveling to schools from Madison to Eleva to spread the “Get along” message, He and his band will be on hand, Wed, Sept 12th to help the audience make this difficult decision! Gilbert’s Foundation proudly raises money for over 156 children’s charities in Wisconsin, and the Brown & Blake Band weekend is bound to be filled with action packed fun. September 13th, Thursday will be Jared’s Song Writers Fest & Story Telling event where you will learn how a song gets life! 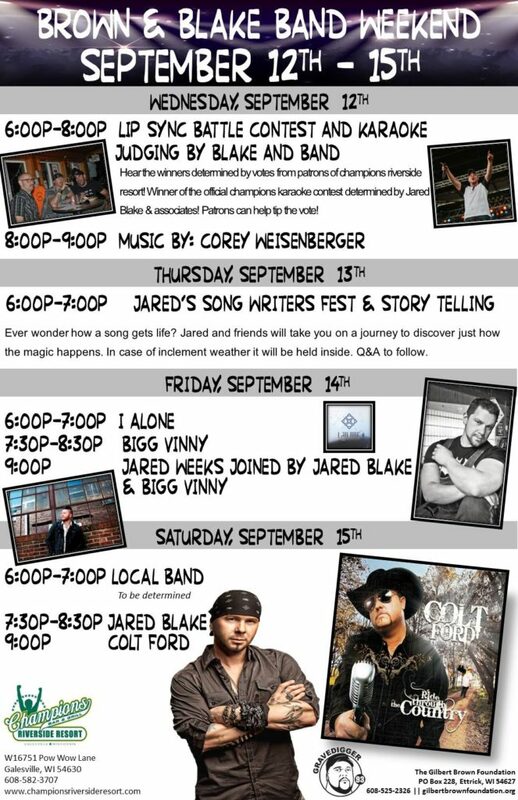 Friday September 14th see Bigg Vinny, Jared Weeks & Jared Blake followed on Saturday with Jared Blake and Colt Ford. Proceeds from all events go to The Gilbert Brown Foundation a 501C3. For more information on The Gilbert Brown Foundation or to schedule an interview with either Gilbert Brown or Jared Blake, please contact Lori Severson directly at lori@seversonandassociates.com or (608) 792-5915.